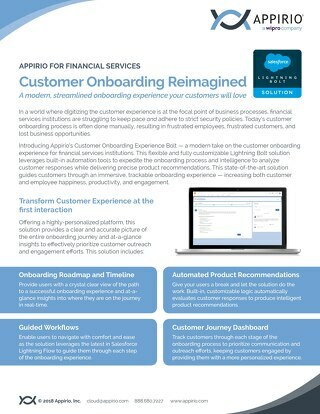 Enhance your Salesforce organization with dynamic, automated, easy-to-configure scoring capabilities. 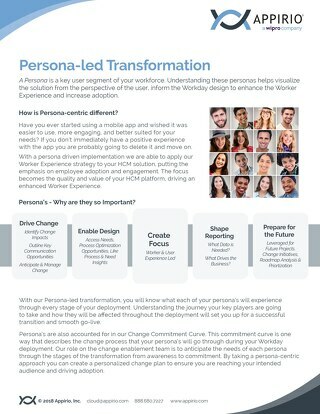 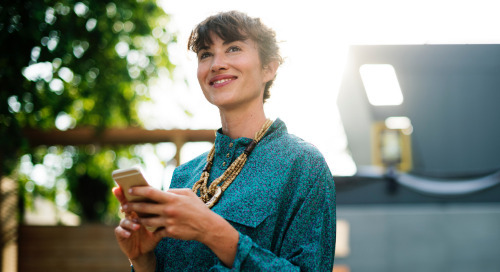 With a persona driven implementation we are able to apply our Worker Experience strategy to your HCM solution, putting the emphasis on employee adoption and engagement. 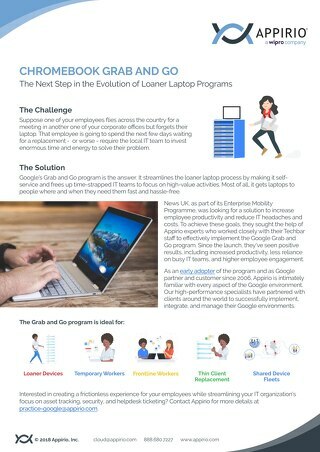 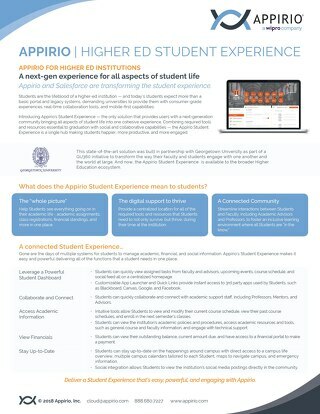 Appirio and Salesforce are transforming the student experience. 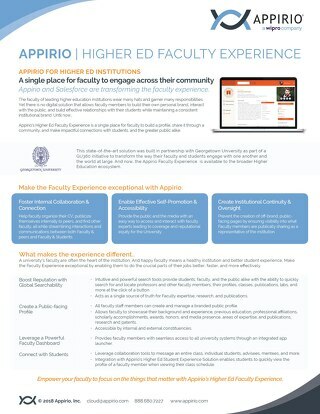 Appirio and Salesforce are transforming the faculty experience. 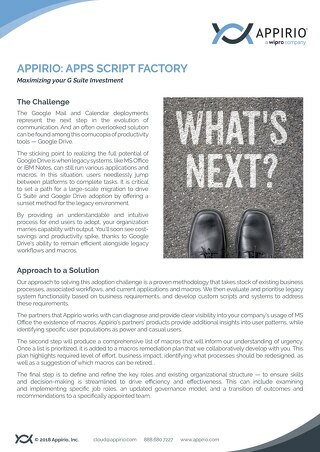 The cost of fixing an issue is far higher in Production than during the initial build phases. 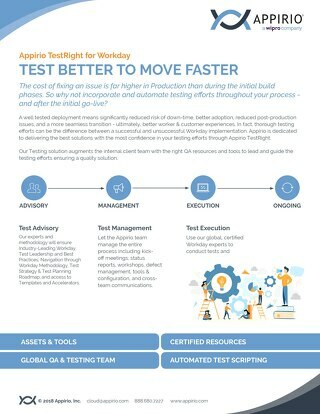 So why not incorporate and automate testing efforts throughout your process and after go-live? 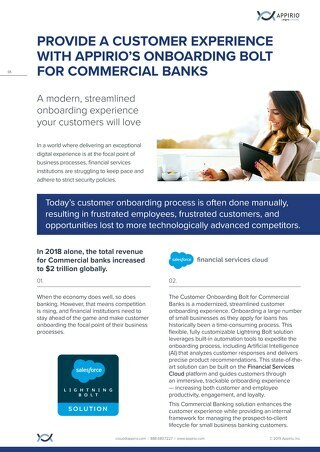 There has never been a more exciting time to be in the manufacturing! 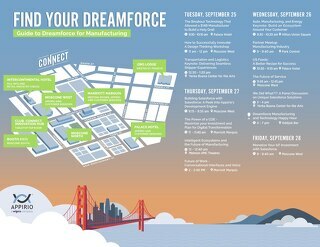 Be sure to check out our exclusive Guide to Dreamforce for Manufacturing. 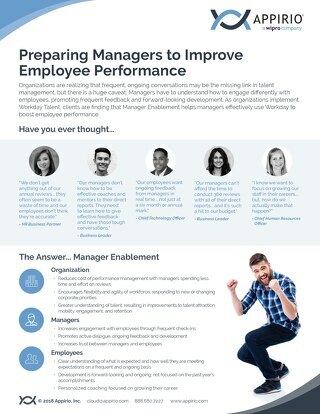 Role call! Higher Ed and Nonprofit - don't miss these sessions and events at Dreamforce this year. 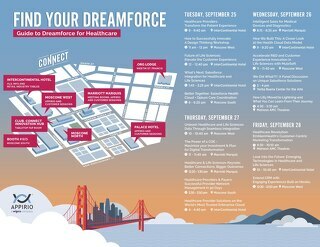 Healthcare Professionals - don't miss a beat at Dreamforce this year. 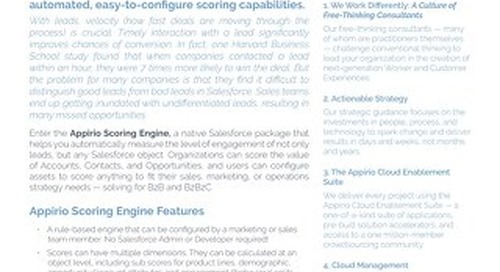 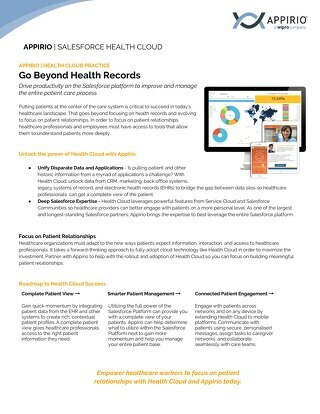 Check out our Healthcare Guide to Dreamforce. Financial Services Professionals, from data security to self-service, our Guide to Dreamforce for Financial Services has you covered. 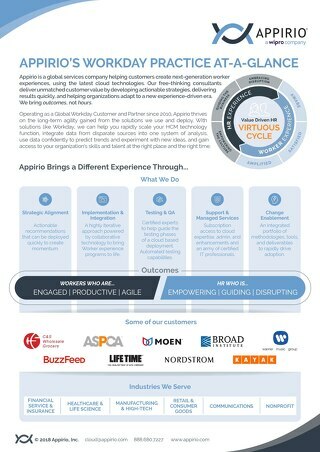 Appirio’s Strategy Consultants will pave the way, providing you with an actionable strategy that focuses on people, process, and technology to deliver tangible results in year one. 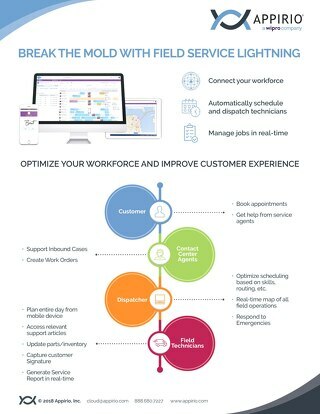 For many organizations, field service is a constant sticking point due to inadequate visibility, limited scheduling tools, and lack of insight to drive product availability. 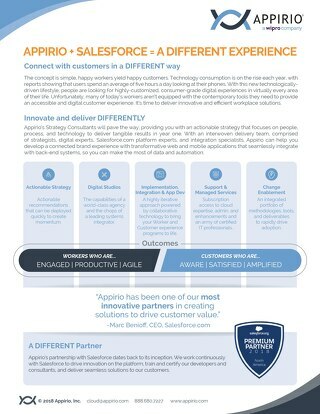 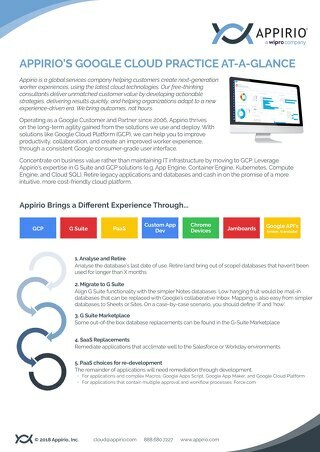 Operating as a Global Workday Customer and Partner since 2010, Appirio thrives on the long-term agility gained from the solutions we use and deploy.